Anthea Alley, Gillian Ayres. Peter Coviello. Arnolfini Gallery catalogues/second series 9. Home / Shop / Books / Alley, Gillian Ayres. Peter Coviello. Arnolfini Gallery catalogues/second series 9. Arnolfini Gallery.Bristol, 3-28 October 1964. 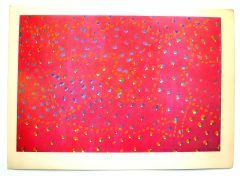 Alley, Gillian Ayres. Peter Coviello. 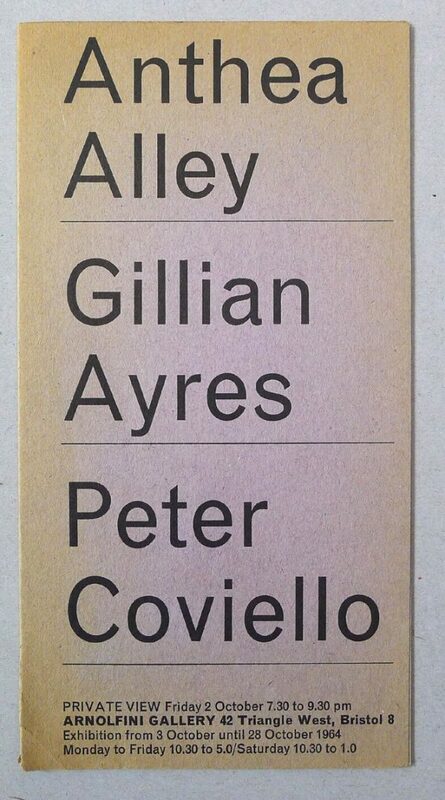 Arnolfini Gallery catalogues/second series 9. Arnolfini Gallery.Bristol, 3-28 October 1964. Anthea Alley, Gillian Ayres. Peter Coviello. Arnolfini Gallery catalogues/second series 9. 12mo. Four panel folding sheet. 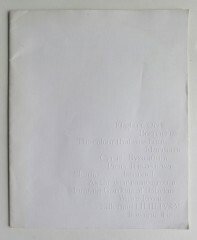 Biographies, 3 b/w illusts, 15, 5 and 12 item catalogue lists. Gillian Ayres. Paintings. Molton Gallery, January 24-February 10, 1962. 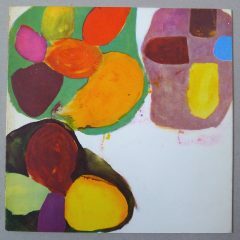 Gillian Ayres Recent Paintings. Kasmin Limited., London 22 January 1969. 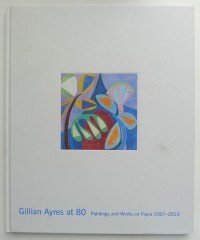 Gillian Ayres at 80. 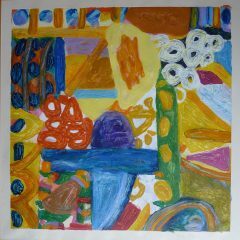 Paintings and Works on Paper 2007-2010. Alan Cristea Gallery, London 3 February-13 March 2010. Gillian Ayres Paintings. 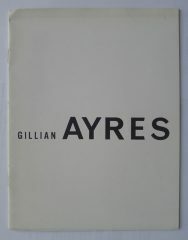 Hamilton Galleries, London September 17-October 12 (1963).